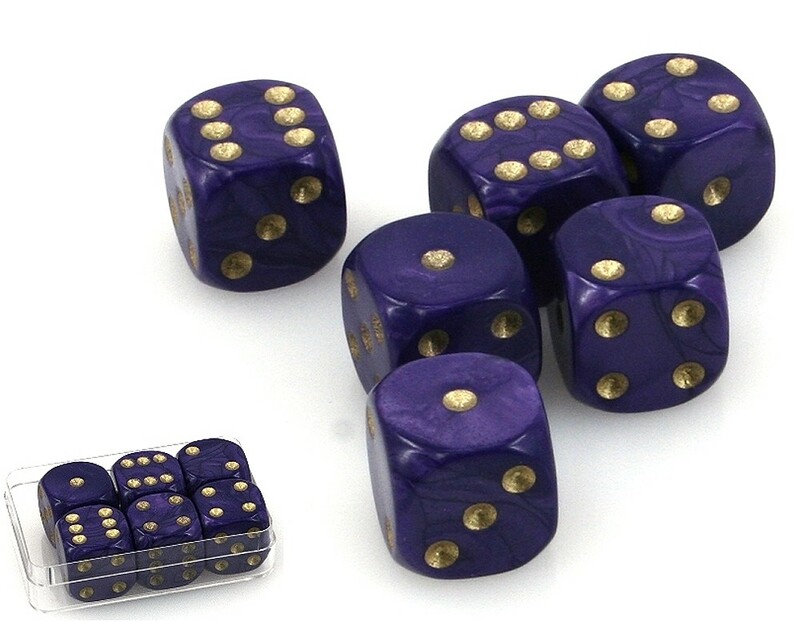 Dice - Set with 6 pieces in a small plastic box, marbled in purple. Size: 16 mm. Dice games promise fun and thrills without much effort! Have fun!